While my knee is slowly healing and getting better, I’m taking things real slow with my Pilates home practice by creating my own routines. I’ve decided to postponing modifying the exercises until this summer, when my knee is 100% better or close to it. But it does feel better to get back into a normal Pilates routine for class and for my home practice, while the sun’s shining and the temperatures are warming up with a nice breeze. I do have my medicine leftover from last month, enough to get me by until the end of May, when I need it whenever it flares up. Here’s my own Pilates home practice routines I’ve started out with easy warm-ups, some familiar exercises, and a couple to cool down with modified reps per routine. Give this a try at your home. Workout #6: Warm-up: 1 Wall Roll Down, 4 Head Nods. Routine: 4 Supported Half Roll-Ups, 5 Chest Lifts, 5 Rolls Like a Ball, 5 One Leg Circles, 3 Saw reps, 1 Plank. Cool Down: 3 Mermaid Stretches. Routine: 3 Open Leg Rockers, 6 CrissCrosses, 6 Singler Leg Stretches, 1 Dolphin Plank. Cool Down: 1 Child’s Pose, 3 Cat-Cows. To Modify your Pilates Routines, Give Fitness Balls a try, Even it's Small at 3.3 Pounds and Work Your way up. What's your favorite Pilates exercise to cool down with? For last week’s Pilates class, it was back to the average sized class, which was less than 10. Instead of the usual rings, we also did another original mat routine by warming up with the pelvic tilts, placing our arms over our heads, and then did some neck pulls and back rolls, and leg and arm extension exercises. We started , the single straight leg stretch, the hinge stretch, the double leg stretch, the criss cross, the straight leg stretch, and the sidekick series on both sides with the bicycle/backpedal, the side sashay and reverse side sashays, the double leg lower lifts and the double leg circle, followed by the 100. We also did some scissors on the mat, the dart and the fish pose, rolling like a ball even with one extended leg and then with both legs. We also did the two-pulse point flex exercises, the 100 on our stomachs, and a couple of planks (bent elbow and extended elbow), the child’s pose, the arm-leg reach with a single leg circle, the saw, and the Pilates stance to finish the routine. Since my Pilates instructor was on an extended vacation for this month, this week, my Yoga-lates/Stretch-lates instructor have filled in for her, starting this week. We’ve used the mini medicine balls we’ve used in Friday’s Yoga-lates class, when the routine was almost the same. easy sit and warmed up with some deep squats with some arm reaches, spinal twists and leg extension exercises, and the child’s pose. We’ve did a couple rounds of the downward dog-long plank combo, the mini hitchhiker pose, the plank jumps, the crescent moon pose, when we’ve raised and lowered the ball or balls in our hands, the basketball dunk, and the air. We’ve even placed it between our legs for he saw and spinal twist, the high clam and pendulum with some foot pulses in both directions, and the side plank and threading the needle, and the double reverse crunch, before we finished it with some Pilates stance poses. For my 9th Hydro Pilates sessions, we’ve warmed up with some body twists and side stretches in the cold water of the pool, which really should’ve been warmed up. We’ve did some left lifts, squats with straight and bent legs and some press and pull side stretches on both sides, and the hinge stretch. We’ve also did the plank and the one-legged plank, when we did it with one leg circle on both sides. We’ve also did arm circles and the side plank to do some some bicycle/backpedal exercises and the side sashay/reverse sashays. 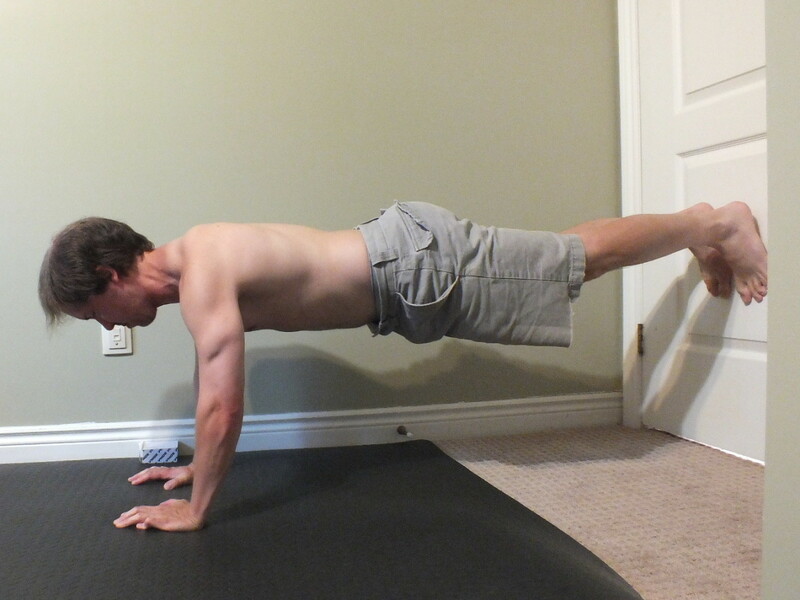 The one exercise we’ve did was the one-bent arm plank with one arm on both sides. We’ve also did the tree pose, in which I chose to use the wall. We’ve also did the Warrior stretches and another set of the press and pull stretch pose, and the chair squat pose in the water, too. To finish out the session, we’ve did the mermaid side stretch and the spinal twist and the Pilates stance. For my 10th Hydro Pilates session, we’ve had a substitute, since my Pilates instructor is on vacation for three weeks. For every Hydro Pilates, we’re going to do something new and different, since she combined both notes from her shallow water exercise class and from Hydro Pilates into one workout. We’ve warmed up with some breathing exercises and then did some mini lunges in the water. From there, we’ve lunged across the pool in a walk. Then we’ve went backwards and followed it up by going sideways. We’ve also worked on some squats and deep squats in the water, kicked our legs and flexed our feet by bending our knees. We’ve also made some inwards circles in the pool. Then we’ve used some swim noodles for class, when we’ve used it for the plank by leaning in and out. Then we’ve did the bicycle in clockwise and counter-clockwise positions, and leaned back against the noodles like we were floating and kicking out legs up in the air. We’ve also did the clock and marched back and forth in the pool, before we’ve finished with the mermaid stretch, the spinal twist and the Pilates stance in the end. For my 11th Hydro Pilates classes, we’ve warmed up with some breathing exercises and then did some mini lunges in the water. From there, we’ve lunged across the pool in a walk. Then we’ve went backwards and followed it up by going sideways. We’ve also worked on some squats and deep squats in the water, kicked our legs and flexed our feet by bending our knees and did some hip and leg extension exercises, including the hip extension flex point exercise. We’ve also made some inwards circles in the pool with our feet. Then we’ve done the plank by leaning in and out, as in push-ups the side plank with the sidekick series, the neutral spine, the pendulum, calf raises and calf stretches, the 100, knee sweeps, light jogs, and knee pull-ups with the fly pose. We’ve also did the clock and marched back and forth in the pool, before we’ve finished with the mermaid stretch, the spinal twist and the Pilates stance in the end. For my 12th Hydro Pilates classes, we’ve warmed up with some breathing exercises and then did some mini lunges in the water. From there, we’ve lunged across the pool in a walk. Then we’ve went backwards and followed it up by going sideways. We’ve also worked on some squats and deep squats in the water, kicked our legs and flexed our feet by bending our knees and did some hip and leg extension exercises. We’ve also made some inwards circles in the pool. Then we’ve done the plank by leaning in and out, the side plank with the sidekick series, the neutral spine, the pendulum, calf raises and calf stretches, knee sweeps, the 100, knee pull-ups and light jogs. We’ve also used a kick board for today’s routine, when we’ve used it for the plank push-ups, for body twists and rotations, and for pulsing with our hands, when we’ve done some breathing with it. We’ve also did the clock, the fly pose, some shoulder rolls and shrugs, before we’ve finished with the mermaid stretch, the spinal twist and the Pilates stance in the end. Yes I am. Anyway to stay active and fit for my back. Thanks for your lovely comments, Flourish. You are one active lady with these pilates! Rachel, about two month ago, I sprained my knee during my Thursday yoga class. So I had to take a break from the gym for a few weeks before I returned. Just some ICE and medicine to make it feel better. Yes, it's a form of exercise to strengthen your core muscles with balancing and lots of breathing. It'll give you a good workout. I'm glad that your knee problem is improving, too, Kristen. Good luck with your Pilates exercise. I hope you continue to enjoy it. What did you have done to your knee? I had a total knee replacement 4 years ago and still have some stiffness. I never heard of Pilates. Is it a form of exercise? My pleasure Billy. Enjoy yoga! You too, my friend. I'm glad your knee is improving. Thanks for the reminder to do my yoga today. :) Happy Thursday to you, Kristen!